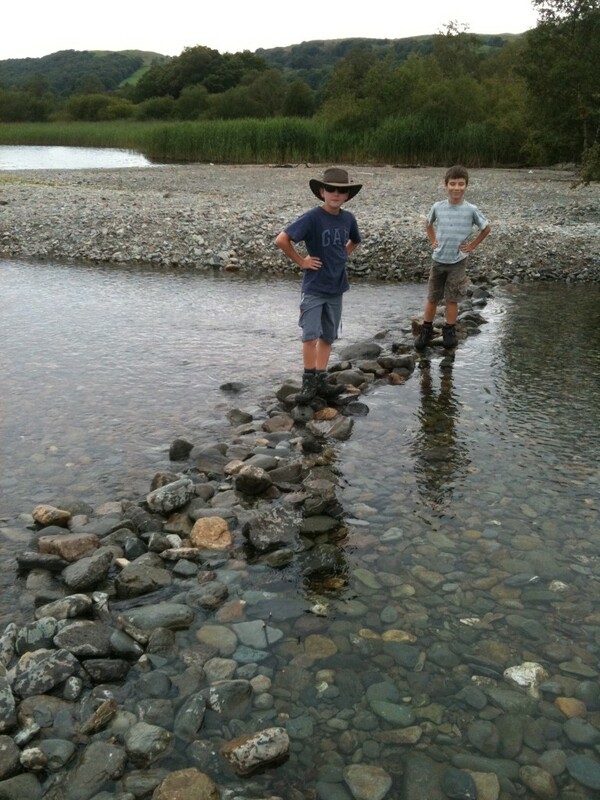 Ever since we started contemplated traveling around the world I had a little ambition that we’d be somewhere that the boys could spend an afternoon damming a river. Well today was that day. We didn’t really do much today thanks to my body’s continuing battle with the Yellow Fever vaccine; so earlier plans to climb hills or go horse riding had to be shelved. Instead we strolled about the town and then walked down to the lake. We had lunch in a cafe by the lake while discussing Donald Campbell’s world speed records and the unfortunate end he came to right in front of where we were sitting. There are a great many things around Coniston named after Campbell’s Bluebird – including the cafe we had lunch in and the B&B we’re staying in. Staying in a B&B is a bit of a departure for us, but we thought it’d be good for the kids to have the real English experience. The first problem we came across was one that we hadn’t hit in the dim, distant, pre-kids past when we used to stay in B&Bs all the time: many B&Bs won’t take children. Dogs? No problem. Kids? No way. So English. 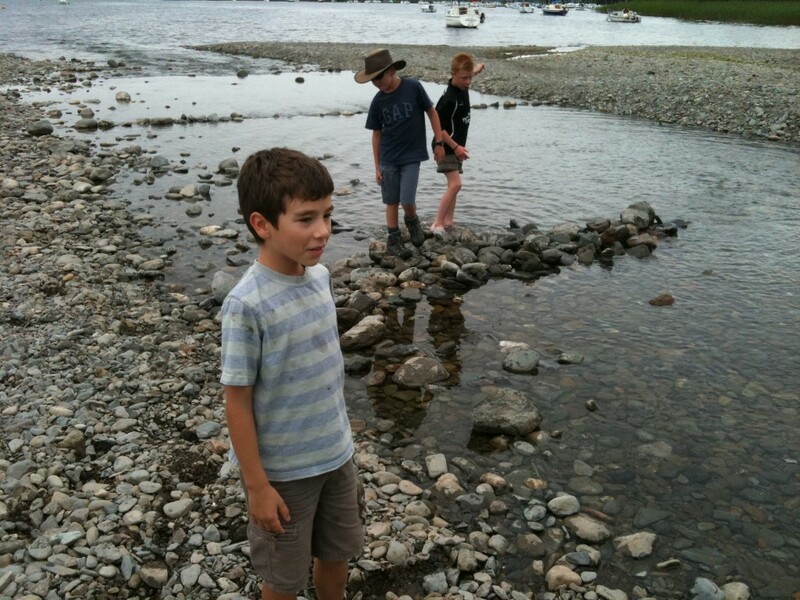 We eventually found a nice place on Coniston which takes children and has a room with twin beds for them. Until now, when we’ve had to split up we’ve each taken a child, but last night the boys had their own room. We are pleased that their being by themselves seems to have worked because there will be quite a few places in Iceland where there’s no family room available. The full English breakfast was not an astounding success for the kids. Declan ate a sausage; Callum ate not a sausage. The fact they both ate cereal is probably very healthy of course, but it seems like such a waste. Anyway after lunch the boys, together with some other kids, spent the afternoon creating a dam across a river leading into the Lake. It ended up being a fine construction; and they even managed to complete it without getting completely soaked.